Tulsi (Basil Beads) Mala are made of wood of the Tulsi (Basil) plant. Tulsi is considered holy in Hindu scriptures also the plant has immense importance in Ayurveda. It is cure of many diseases. Modern pharma industry also uses the plant in many medicines. The mala is considered sacred to Lord Krishna and all other Lord Vishnu incarcerations. 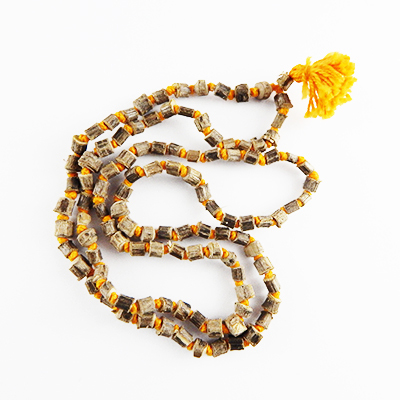 It gives the wearer love, peace and purity, it helps is getting highest spiritual goal.